One of the hottest tickets at the South by Southwest (SXSW) festival in Austin last month was for the chance to step into and experience the saloon from the TV series “West World” – a show based on the story that humanoid robots in a “wild west” amusement park “awaken” from their programming, driven by artificial intelligence. In Austin, it took organisers four months to prepare this two-hour experience for ticket holders. Over 440 pages of script were brought to life by park staff and actors playing the robots. 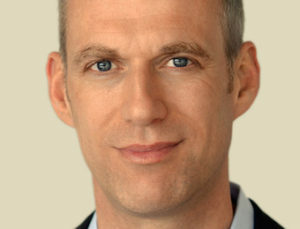 A quick look online reveals how this new event format received an overwhelmingly positive response from amazed audiences. Shows and festivals such as SXSW, TED, Vivid Sydney, C2 Montréal, or Light City Baltimore unite creative components with thought-provoking sessions to attract all kinds of visitors ­­– including many thought leaders. In Austin, quite a few representatives from our own industry were seen roaming the streets, joining in with the sessions, and hosting their own events as part of the overall SXSW scheduling. Initiatives such as the “West World” experience capture visitors’ attention just as much as keynote conversations on the conference main stage. What’s more, they strengthen the image of face-to-face events as a very relevant form of marketing in the digital age, particularly because they also attract a younger audience. At the same time, they deliver a challenge to the very core of our business – to update and evolve the way we as an industry organise, deliver, and support the show floor. This brings me to the question of how to future proof our exhibitions as well as our industry’s business model – a topic that features heavily across all our activities and programmes here at UFI. It’s also the theme for this year’s European Conference in Verona (2-4 May), where we will focus on delivering concrete take-aways on a range of topics – from data protection and event security to changing organisational models, event formats and new technologies. This idea of evolving the format of events also featured strongly in this year’s applications for our “Next Generation Leadership Grant” programme. Without giving too much away, the numerous applications from all around the world often contained bold and concrete ideas and expectations as to where our industry is heading. I personally look forward to this year’s group working alongside their mentors and the UFI team to bring their perspective on our industry’s future to life. All the excitement and headlines generated by diverse, high-profile business events such as CES, the Mobile World Congress, SXSW, and many more, help to raise awareness of our industry as a whole – and support all our efforts to attract bright talent to our companies. This year’s Global Exhibition Day on 6 June will focus on the experiences, education and career opportunities we offer those working in the exhibition world. Last year, many of you all around the world joined in with your own activities and projects to showcase the size and scope of our industry globally, and I encourage and challenge you to support our industry’s future again this year. You’ll find lots of materials and best practices at www.globalexhibitionsday.org, our central support resource, and as always you can of course get in touch directly with the UFI team. 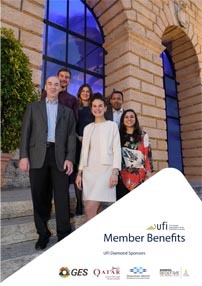 As you prepare for your future in our industry, you’ll find UFI ready to support you – by connecting ideas, trends, and talents across our industry on a global scale. I look forward to meeting with many of you in a few days in Verona!